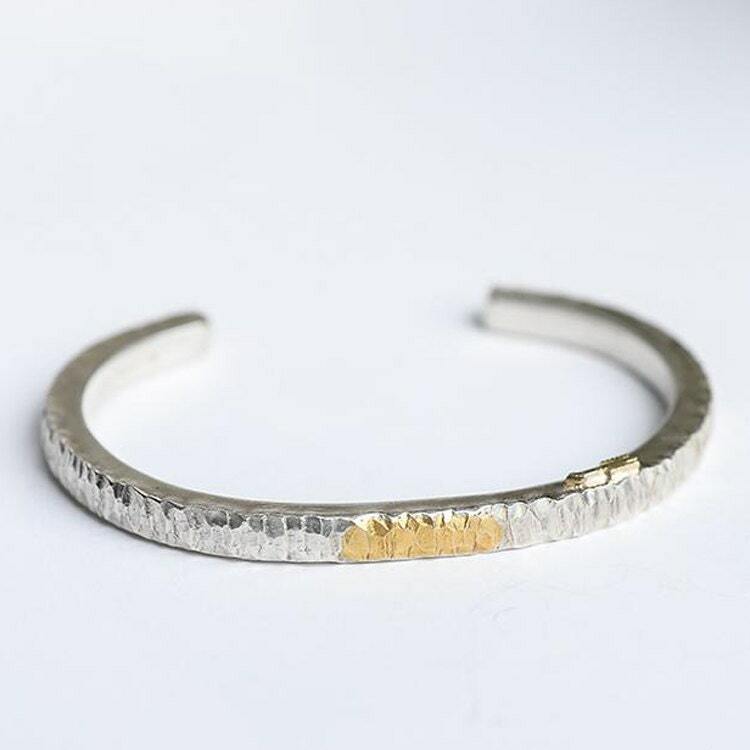 The thin silver bangle is a beautifully minimalist bracelet design - handcrafted in 950 sterling silver, with a 24K gold inlay and small gold arrow charm. 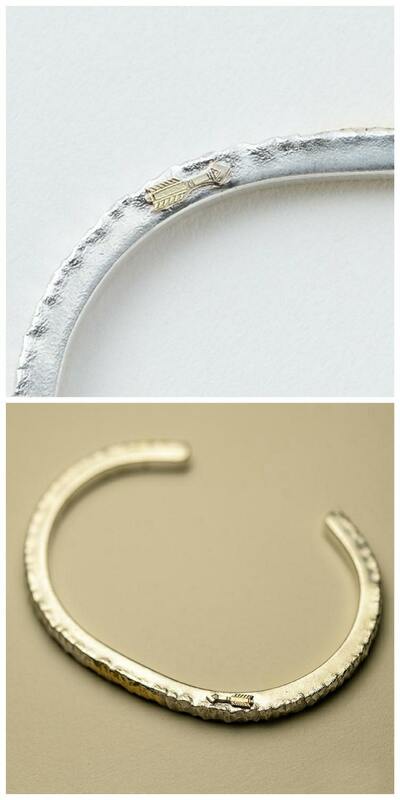 The design of the gold and silver bangle is inspired by the Native American jewelry craft. While the design is simple, it took a great deal of study and understanding of the early native American jewelry making. 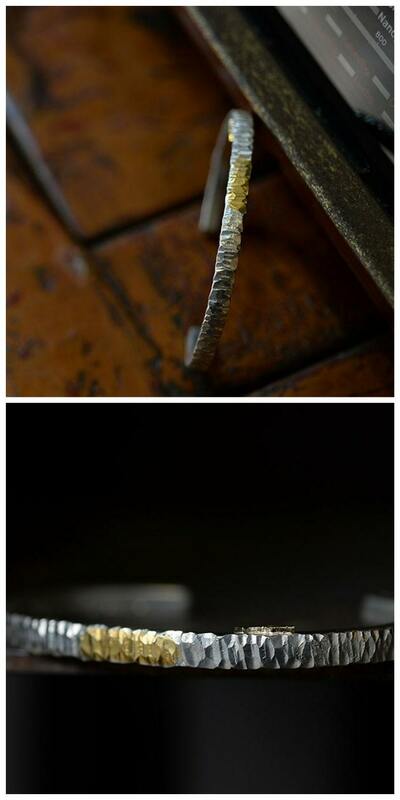 The challenge was to craft a piece that remained true to the original rough handmade texture. 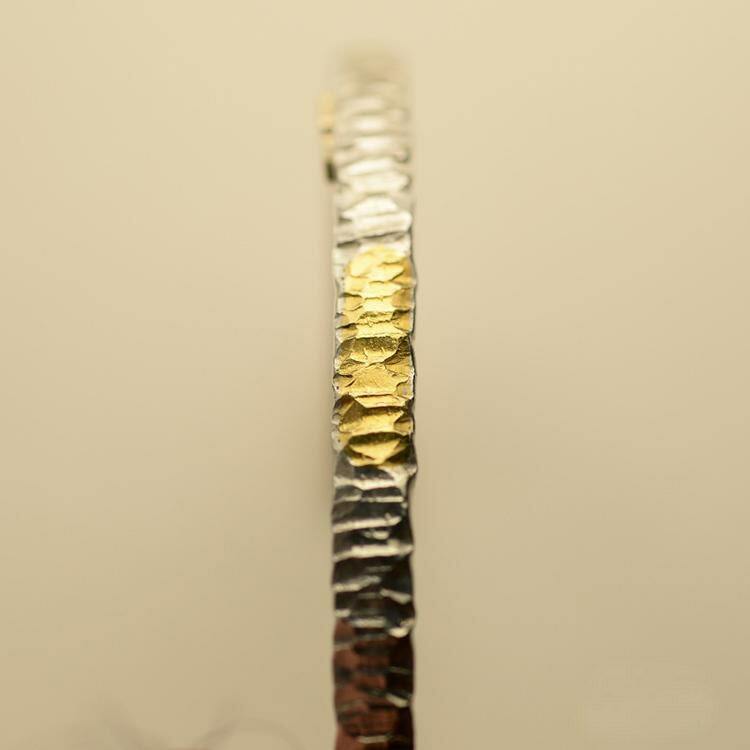 Look closely, and you will find that the texture resembles that of the cedar wood - the crepe-like texture recreated by careful hammering of the silver bangle. A 24K gold inlay at the top adds a little bit of spice to the plain silver bangle, and a tiny 18K gold arrow charm is attached to one side. Width: 4.6 mm/0.18 inch. Thickness: 4.3mm/0.17inch. We can custom engrave English alphabets (in LARGE CAPS), numbers (Max 7 characters), and symbols ❤,&, and (.) little dots (All Letter Size 1/8" (2mm)). on the back - totally free of charge! 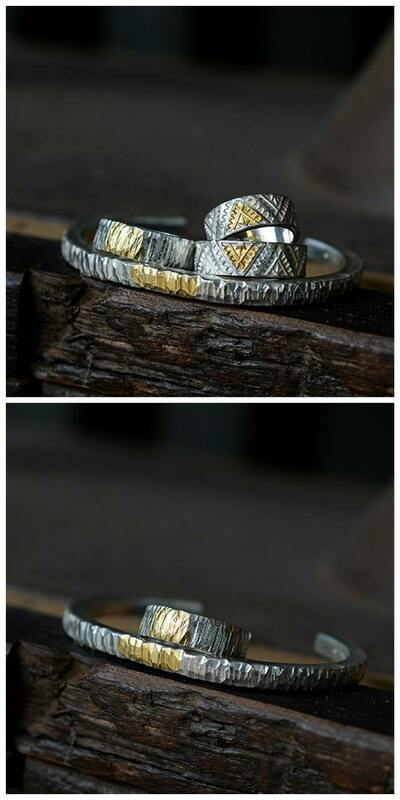 We will use our design discretion for the location of the custom engraving. Contact us via etsy convo if you have engraving request.